This is a new featurette for The Commuter. It was written by Byron Willinger and Phil de Blasi, directed by Jaume Collet-Serra (Unknown, Non-Stop, Run All Night), and stars Liam Neeson (Taken), Vera Farmiga (The Conjuring franchise, Bates Motel), Patrick Wilson (The Conjuring franchise, Watchmen), Sam Neill (Hunt for the Wilderpeople, Jurassic Park), Jonathan Banks (Breaking Bad, Better Call Saul) and Elizabeth McGovern (Downton Abbey, She’s Having a Baby). It is scheduled to be released on January 12, 2018. Check out the synopsis and video below. 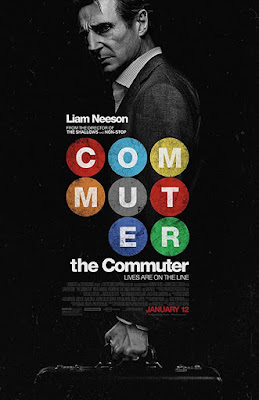 "A businessman is caught up in a criminal conspiracy during his daily commute home."